Watch out! 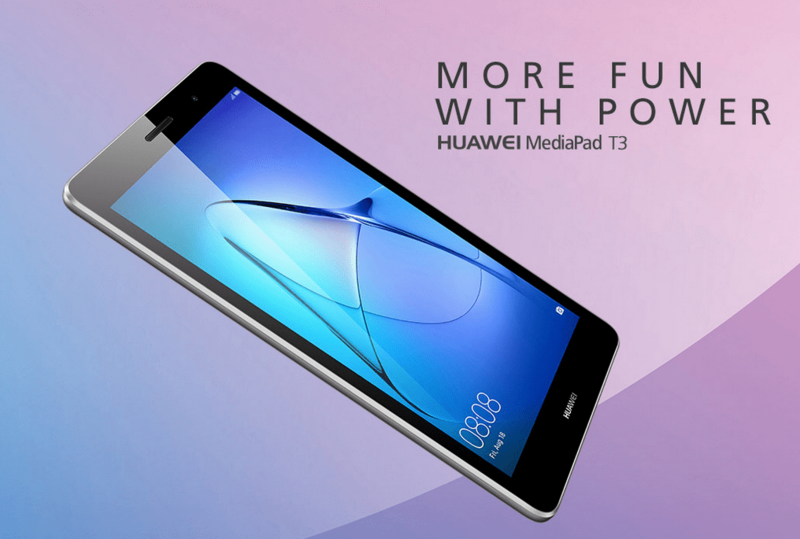 we are going to talk about the latest Huawei products, MediaPad T3 and MediaPad T3 7, the just released tablets raising their heads in the Huawei consumer websites without the price tag and its availability. Don't swallow, they are just waiting for your fingertips to crawl over them, as the Chinese multinational networking company Huawei has plans to quick launch the products in the market. Until then, all we can do is, judge the upcoming head turner, whether it is a fair deal or not-just-meant to match your pocket and style. The MediaPad T3 offers an 8-inch IPS HD Display with 1280 x 800 pixels resolution, that is said to be designed to offer your eyes the due comfort. Talking about its sleek design, the phone houses an anodized aluminum casing that is only 7.95 mm thick and weighs only 350 grams. Storage wise, it comes in two variants including one 16 GB and another 32 GB. Powered by a quad-core Qualcomm Snapdragon 425 (MSM8917) set at 1.4 GHz, the processor is apt to offer a decent performance with 2GB and 3GB RAM variants. Running on Android 7.0 Nougat, with EMUI 5.1 overlay the tablet sports a 5MP autofocus rear camera and a 2MP fixed focus selfie snapper. Connectivity wise, it supports IEEE 802.11 a/b/g/n, GPS/ A-GPS, GLONASS. The power source of the gadget is a 4800 mAh battery. The MediaPad T3 7, specifications wise is comparable to the MediaPad T3 but packed with some diminished features. With 7-inch IPS display with 1024x600 pixels resolution, the phone runs on Android 6.0 Marshmallow. Powered by a quad-core MediaTek (MT8127) set at 1.3GHz, the phone proffers a 1GB RAM variant that comes in with an 8GB storage and a 2GB RAM variant that comes with a 16GB storage option. Housing a 3100 mAh battery and 2MP rear and front camera, the tablet deserves to be in the range of Rs. 9000 whereas the former might catch a sticker of Rs. 15000.